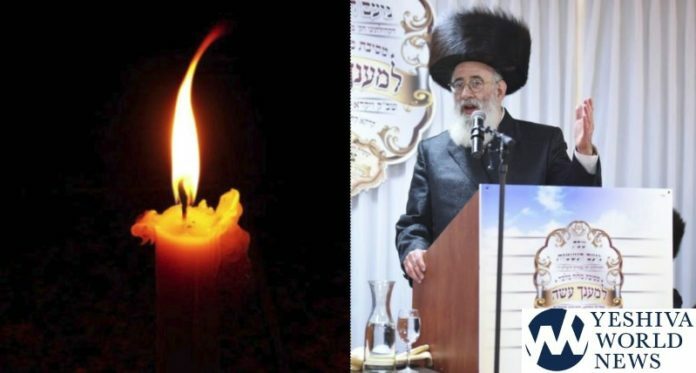 A prominent member of the Sanzer Chassidus was suddenly Niftar on Wednesday, HaRav HaChossid R’ Moshe Reich Z”L – a well-known Baal Chesed. Moishe, as he was known, was viewed as a ‘man of chessed’, one who did not hesitate to give of himself for others. Moishe was born in the United States on Yom Kippur, 5716. He did not feel well as 1:30AM and was taken to Ziv Hospital in Tzfat, where he was niftar during he early morning hours Wednesday at the age of 62. He was in Tzfas as he planned on heading to Meron on Lag B’Omer. After his marriage, he moved to Har Nof and became a pillar of Beis Medrash Imrei Shefer. He would give a Shabbos shiur on Pirkei Avos during the summer months. The levaya began at 1:00PM in the Sanzer Beis Medrash in Tzfat, after which they proceeded to Yerushalayim. 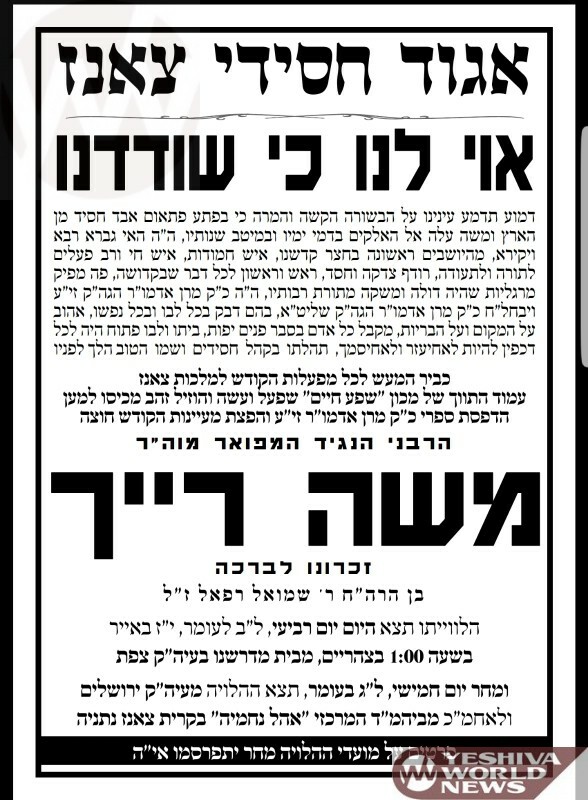 Tomorrow, Wednesday, they will head to the Sanzer Beis Medrash in Netanya, and kvura will be in Netanya near his rebbe, the Shefa Chaim” of Sanz ZY”A. Due to Lag B’Omer there will not be hespedim. The reason for the delay in the levaya is that there are children living abroad.